Esports, in which players compete in organized video gaming events or tournaments that end up in championships up to an international level, will become even bigger in 2018. According to data from Statista, the esports market is estimated to be worth about $1.5 billion by 2020 — based on a projected compound annual growth rate of 32 percent. According to the Internet Trends report released earlier this year by Kleiner Perkins partner Mary Meeker, eSports’ popularity has grown to a stage where it is rivaling more traditional, physical sports. In fact, when the study tried to find which millennials prefer between eSports and traditional sports, it observed a split in which both games were equally preferred. If trends are anything to go by, the percentage of millennials who prefer eSports will increase and possibly exceed the percentage that prefer traditional sports in 2018. While everyone is looking out for the blockbusters released by the big names, a silently-erupting volcano is being ignored in the form of indie games. An advantage indie developers have is their creativity and unrestrictiveness,and you can expect this to give the big boys a run for their money in 2018. Games like Indivisible, The Last Night and Bloodstained:Ritual of the Night are already on the watch list of indie games that will make a splash in 2018. You can expect even bigger indie games, either as a remake of existing games or new entrants, to come into view in 2018. The past few years have been explosive for VR, but you can expect even more adoption of VR in 2018. The virtual reality gaming market is projected to exceed $45.09 billion by 2025. 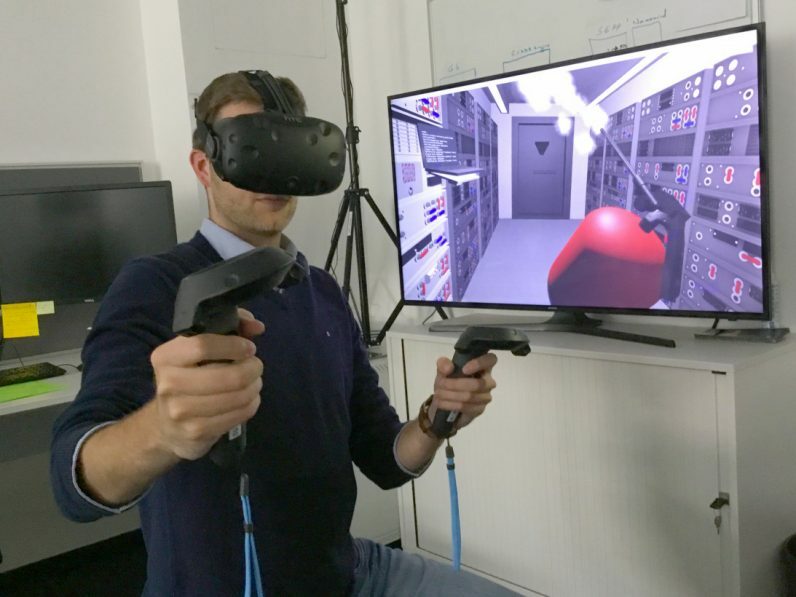 While there are already lots of developments in the VR area, VR expert Yariv Levski predicts even more developments — including the introduction of new VR gaming headsets different from the popular breeds such as Oculus Rift and Google Daydream, more development in the area of haptic feedback and even more development in the area of cloud-based VR gaming. Regardless of which happens first, there is but one fact: VR will be even bigger in 2018. You can count on that. As game developers are becoming more creative, more and more focus is being put on making games more realistic. As a result we can expect to see more developments in game physics. For example, in the recent past we’ve seen interesting ragdoll physics-based games like Happy Wheels introduced — 2018 will herald the introduction of even more creative multi-device physics-based games. Augmented reality (AR) gaming is another trend to watch out for in 2018. Unlike VR games that require a confined area to create an immersive gaming environment, AR will create an immersive environment within the gamer’s existing environment. AR has experienced some explosive growth in the recent past thanks to games like Pokémon GO, but we can expect even bigger AR games as well as overall improvement of the AR technology going into 2018.